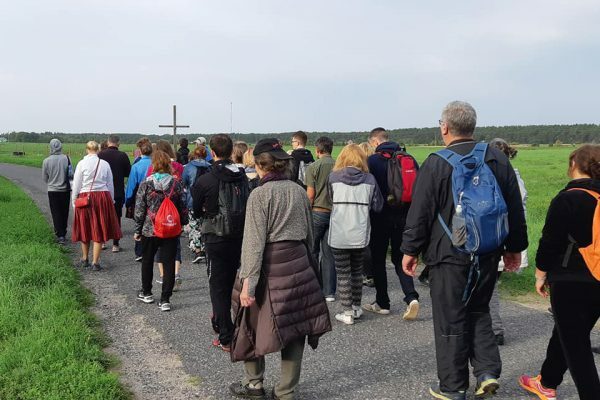 A pilgrimage organised by the programme of the Youth Council of the Estonian Council of Churches was held from 7 to 9 September at the picturesque island of Kihnu on Estonia’s Baltic coast. Around 80 pilgrims included young people as well as church leaders from Lutheran, Orthodox, Catholic, Baptist and Methodist churches active in the country. They walked 20 kilometres through beautiful villages, meadows, woods and beaches, enjoying fellowship and the hospitality of the local people, and joining in the common prayer. The pilgrimage had a particular Orthodox characteristic resonating with the religious background of the people of the Kihnu island. The first pilgrimage of this nature was organised in 2015 as part of the European climate pilgrimages to the COP21 summit in Paris. These pilgrimages were coordinated by CEC, and the one in Estonia was part of a joint project of the Estonian, Hungarian and Finnish National Councils of Churches. Since then, the pilgrimage has continued to be held every year exploring different parts of Estonia.